Here are some snazzy birthday facts about 17th of July 1969 that no one tells you about. Don’t wait a minute longer and jump in using the content links below. Average read time of 11 minutes. Enjoy! What day was my birthday Jul 17, 1969? July 17, 1969 was a Thursday and it was the 198th day of the year 1969. It was the 29th Thursday of that year. The next time you can reuse your old 1969 calendar will be in 2025. Both calendars will be exactly the same! This is assuming you are not interested in the dates for Easter and other irregular holidays that are based on a lunisolar calendar. There are 89 days left before your next birthday. You will be 50 years old when that day comes. There have been 18,173 days from the day you were born up to today. If you’ve been sleeping 8 hours daily since birth, then you have slept a total of 6,058 days or 16.58 years. You spent 33% of your life sleeping. Since night and day always follow each other, there were precisely 615 full moons after you were born up to this day. How many of them did you see? The next full moon that you can see will be on April 19 at 11:14:00 GMT – Friday. Fun stat: Your first one billion seconds (1,000,000,000) happened sometime on March 25, 2001. If a dog named Cadenza - a Ibizan Hound breed, was born on the same date as you then it will be 240 dog years old today. A dog’s first human year is equal to 15 dog years. Dogs age differently depending on breed and size. When you reach the age of 6 Cadenza will be 42 dog years old. From that point forward a medium-sized dog like Cadenza will age 4.5 dog years for every human year. The Fourth Crusade captures Constantinople by assault. The Byzantine emperor Alexios III Angelos flees from his capital into exile. Port Chicago disaster: Near the San Francisco Bay, two ships laden with ammunition for the war explode in Port Chicago, California, killing 320. The largest number of United States midshipman casualties in a single event results from an aircraft crash in Florida killing 44. Nuclear weapons testing: The “Small Boy” test shot Little Feller I becomes the last atmospheric test detonation at the Nevada National Security Site. A structural failure leads to the collapse of a walkway at the Hyatt Regency in Kansas City, Missouri killing 114 people and injuring more than 200. What does my birthday July 17, 1969 mean? 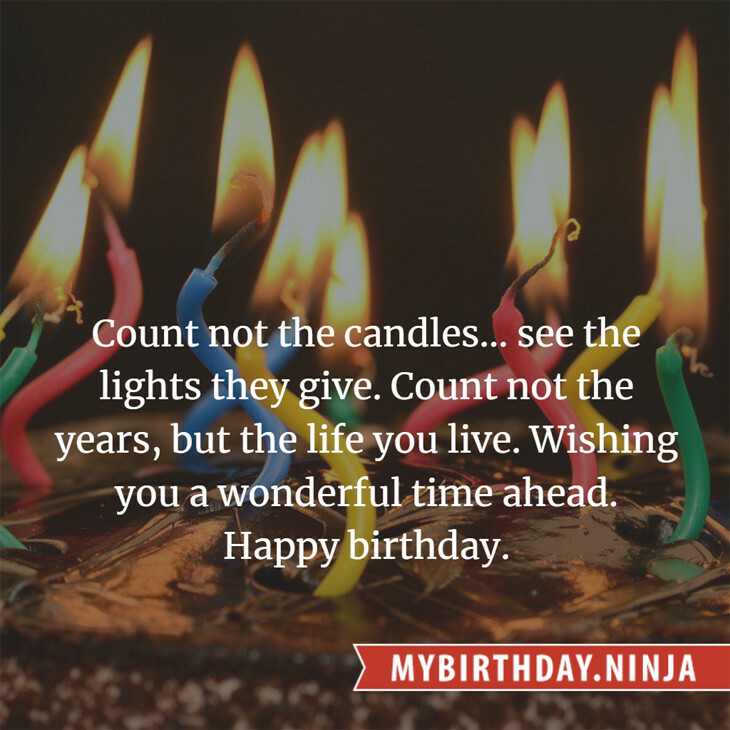 Your birthday numbers 7, 17, and 1969 reveal that your Life Path number is 22. It is a master number that represents practical idealism and material mastery. You were born under the most powerful and potentially the most successful of all Life Path numbers. The following celebrities also have the same life path number: Eric Burdon, Damian Lewis, Sheila Jordan, Carl Radle, Kiely Williams, Edward Dmytryk, Millicent Martin, Tammy Lynn Michaels, Ben Savage, Arjun Sarja. What is the birthday horoscope for Jul 17, 1969? The Western zodiac or sun sign of a person born on July 17 is Cancer ♋ (The Crab) – a cardinal sign with Water as Western element. The ruling planet is Moon – the celestial body of moods and emotions. According to the ancient art of Chinese astrology (or Eastern zodiac), Rooster is the mythical animal and Earth is the Eastern element of a person born on July 17, 1969. Fun fact: The birth flower for 17th July 1969 is Larkspur for haughtiness. 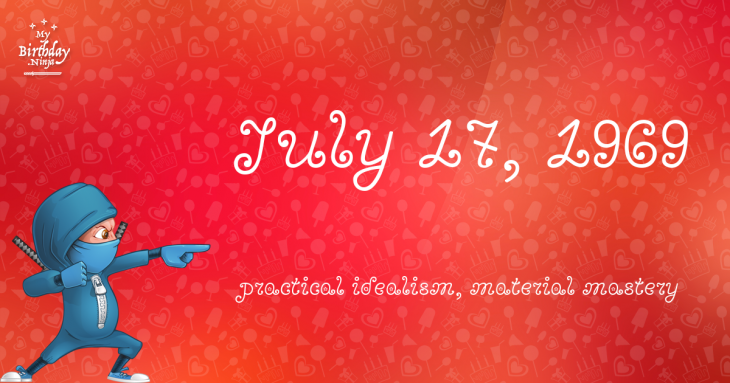 What is the Love Match for Jul 17, 1969? When it comes to love and relationship, you are most compatible with a person born on November 19, 1966. You have a Love Match compatibility score of +160. Imagine being in love with your soul mate. On the negative side, you are most incompatible with a person born on December 16, 1983. Your incompatibility score is -130. You’ll be like a cat and a dog on a love-hate relationship. Arf-arf, I want to bite you. Meow-meow, stay away from me! The number-one hit song in the U.S. at the day of your birth was In the Year 2525 (Exordium and Terminus) by Zager and Evans as compiled by Billboard Hot 100 (July 19, 1969). Ask your parents if they know this popular song. How many babies were born on July 17, 1969? Base on the data published by the United Nations Population Division, an estimated 120,942,839 babies were born throughout the world in the year 1969. The estimated number of babies born on 17th July 1969 is 331,350. That’s equivalent to 230 babies every minute. Try to imagine if all of them are crying at the same time. What is the popular baby name on 17 Jul 1969? Here’s a quick list of all the fun birthday facts about July 17, 1969. Celebrities, famous birthdays, historical events, and past life were excluded. Try another birth date of someone you know or try the birthday of these celebrities: December 30, 1956 – Claudia di Girolamo, Chilean actress; April 11, 1973 – Jennifer Esposito, American actress and dancer; December 22, 1949 – Maurice Gibb, Manx-English musician, singer, songwriter and record producer (Bee Gees, The Bloomfields, and The Rattlesnakes) (d. 2003).